Atim Annette Oton is a Nigerian-born, American and British educated designer turned Curator. She is the co-owner of Calabar Imports, a 15 year old Brooklyn retail business, co-founder of Experience Africa and the founder of the Creative Side. She is the African Art Curator for AMREF Health Africa ARTBALL and Bronx:Africa. 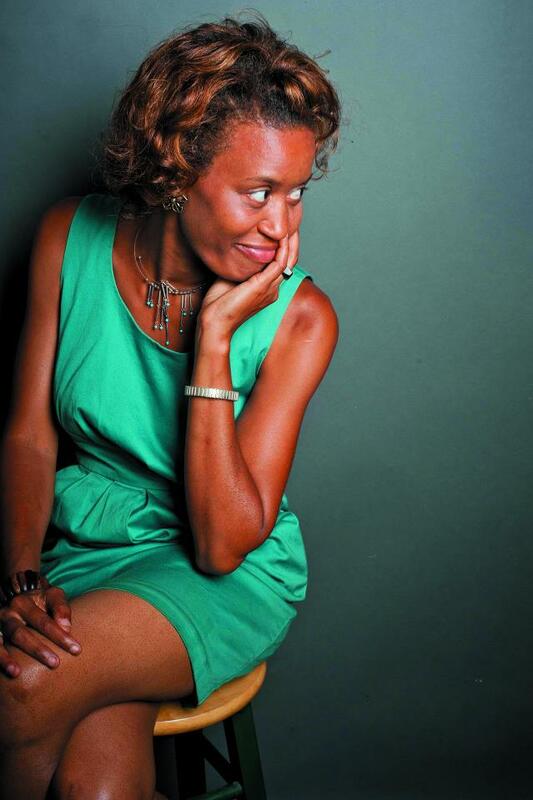 She founded Calabar Gallery in Harlem with extension spaces in Bed Stuy and Crown Heights. She was a Huffington Post Black Voices Blogger who created the series, The Pulse of Africa where she wrote about Global Africans working in Africa and across the Diaspora and has an inside view on Africa’s progress, issues on arts and culture, technology and opportunities. She spent her formative years in Calabar, Nigeria and studied architecture at the City College of New York and did graduate studies at the Architectural Association Graduate School in London, England. In New York, she worked in architecture and, by 2000, was part of the design team that won the African Burial Ground Interpretive Center. She worked as an executive producer on the Underground Railroad Experience, a cultural education website on the Underground Railroad and won an Independent Grant from the NYSCA for her work, the Black Hair Salon. A founder of Blacklines Magazine, a quarterly magazine featuring black designers, she served as its executive vice president before joining Parsons School of Design as the Associate Chair of Product Design for 6 years. In 2006 she launched Calabar Magazine as a brand extension of her store Calabar Imports in Brooklyn. In 2006, she stepped down from her role as the Associate Chair of Product Design at Parsons School of Design, working with black furniture designer Tony Whitfield, to concentrate on Calabar Magazine and Calabar Imports. After creating Calabar Imports in 2004, she has expanded the store to 3 neighborhood locations in Brooklyn (Crown Heights, Bed Stuy and Harlem in 2015. She was the co-founder of Black Design News Network (BDNN), a flagship news distribution source and website creating awareness of black designers across the globe by distributing news, content and information about Architecture, Interior Design, Product and Industrial Design, Fashion and Textile Design, Communication, Media and Graphic Design. She was also the publisher and editor of Brooklyn’s Calabar Magazine, a bi-monthly lifestyle publication about black Brooklyn home décor, fashion, culture, and lifestyle; and serves as a blogger for Huffington Post Black Voices focused on African issues. Atim was born in Calabar, Nigeria where she spent her formative years before coming to the US to study architecture at the City College of New York in Harlem under the most influential African American architect and dean of the architecture school, J. Max Bond (who she later worked for) and took design and history courses with Labelle Prussin, female architect and author of African Nomadic Architecture: Space, Place and Gender. She did her graduate studies in Energy and Environmental Studies at the prestigious Architectural Association Graduate School in London, England from 1992 – 1994 studying under Simos Yannas. She returned to New York in 1994 to work with the architecture firm, Davis, Brody, Bond Architects and various other firms in New York. In 2000, she was part of the design team that won the African Burial Ground Interpretive Center. She also worked as an executive producer and design consultant on the Underground Railroad Experience, a cultural education website from 2000 – 2004 on issues to do with slavery and the Underground Railroad. She won an Independent Grant from the NYSCA on her work, the Black Hair Salon in 2002. Oton was one of the founders of Blacklines Magazine, a quarterly magazine publishing that featured black designers in architecture, interior design, construction, development and the arts and served as its executive vice president from 2000-2002. Her design work has been published in Architectural Record, Design Build Magazine, Design Architecture.com, Oculus and Blacklines Magazine. Her work has been exhibited at the Architectural Association in London, and in New York at the Schomburg Center for Research in Black Culture, the Institute for the Research on the African Diaspora in the Americas and the Caribbean (IRADAC), the Bronx Museum of Art and the City College of New York. In 1997, she created and curated a ground breaking exhibition on women architects and designers entitled Toward the New Millennium: Women in Architecture at the Aaron Davis Hall Gallery of City College of New York. She has been profiled in Office.com and Diversity.com for articles on Blacklines Magazine. She has been featured for Calabar Imports on CNN, MSNBC, The Brian Lehrer Show on WNYC, BCAT’s NeighborhoodBeat and CUNY TV. She is a Board Member, a Vice President and co-Chair of Economic Development Committee of Community Board 8 in Brooklyn. She is a member of the City College of New York’s Architecture Alumni Group, the National Organization of Minority Architects (NOMA) and was a member of the National Association of Minorities in Communications (NAMIC). Sustainability/Education: coupled with insights into innovative, ecological and sustainable business practices. Working experience in emerging educational, visual arts and design opportunities that includes research, trends, issues and challenges in the global economy. Conference Planning/Networking: Solid strategic planning capacities, experienced planning, conference planning and implementation skills. Extensive relationship building skills, liaisons and unique collaborations. Technology: Extensive technology expertise and use. JP MorganChase Community Development Competition Winner, Instructor, Riverside Church Community Center, 2002.